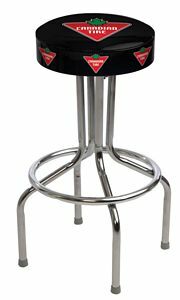 One of the most popular ways to customize a bar stool is by printing a custom logo, trademark, or slogan on the stool. Most of the logo bar stools you see out in the field were screen printed. You can either print the logo on the top of the material or print it on the underside of the material. It is easier to apply a logo to the top of vinyl but there are many negatives. It is very difficult to get screen printing ink to adhere to upholstery vinyl. Most decent grade vinyl has a film applied to resist stains in commercial settings. This coating makes it very difficult to get the ink to adhere. This holds true for most methods of digital printing as well. The preferred method of printing a logo bar stool is on the underside of clear vinyl. This process, while much more difficult, provides a longer lasting product in the field. You may visit BarStoolsandChairs.com for Custom Logo Bar Stools. No user responded in " Logo Bar Stool Imprint Methods "